We are in the process of ascending ourselves. We are ascending with you. You might say that we are ascending because of you, and you might say that because it is true. We are assisting you because we love you and because we want to see you enjoying your lives more, but we are also benefiting from all of the movement forward that you make. There is no such thing as a completely selfless act. Even if it seems as though you are making a sacrifice to benefit others, you still know that you will feel good about yourself for having made that sacrifice. Now, we are telling you this because we want you to know how linked we are. We want you to know that the truth that there is no separation between any of us is a very big truth. We also want you to realize that this is not a one-way street. We are giving and receiving. You are benefiting, and we are benefiting. 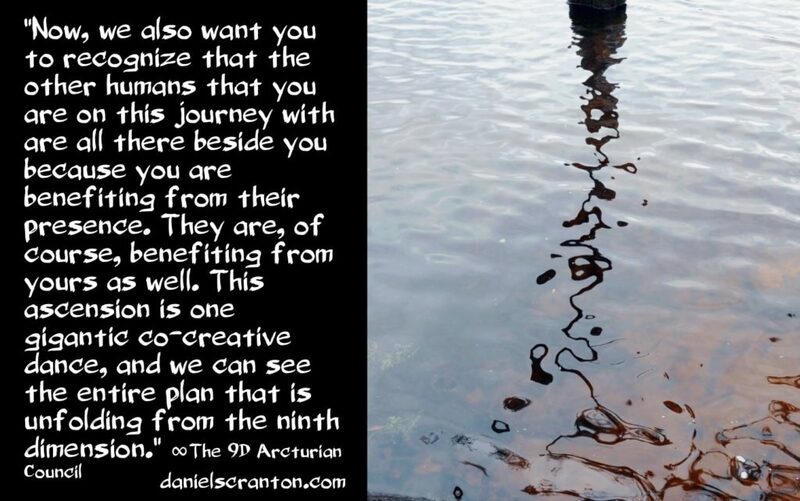 Now, we also want you to recognize that the other humans that you are on this journey with are all there beside you because you are benefiting from their presence. They are, of course, benefiting from yours as well. 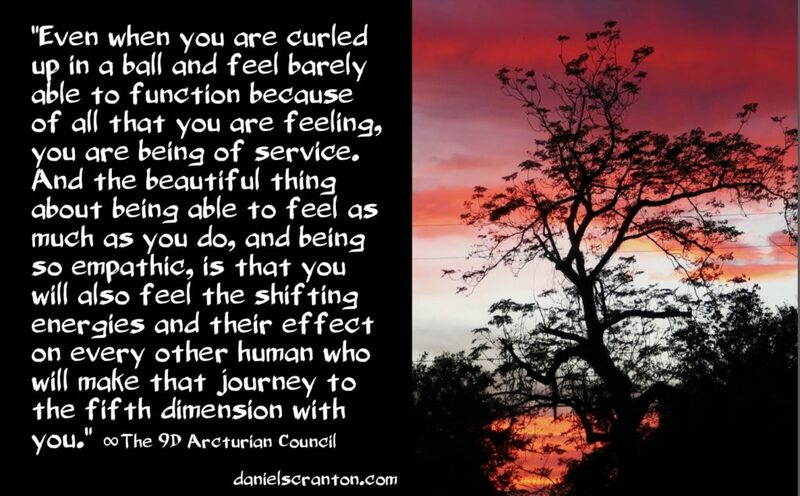 This ascension is one gigantic co-creative dance, and we can see the entire plan that is unfolding from the ninth dimension. We love being on this journey with you, and we love knowing that we don’t get to take that giant leap forward to the tenth dimension without first ensuring that you make your leap to the fifth. There is so much joy in this journey, and we want to give you all permission to feel as much of it as you possibly can. 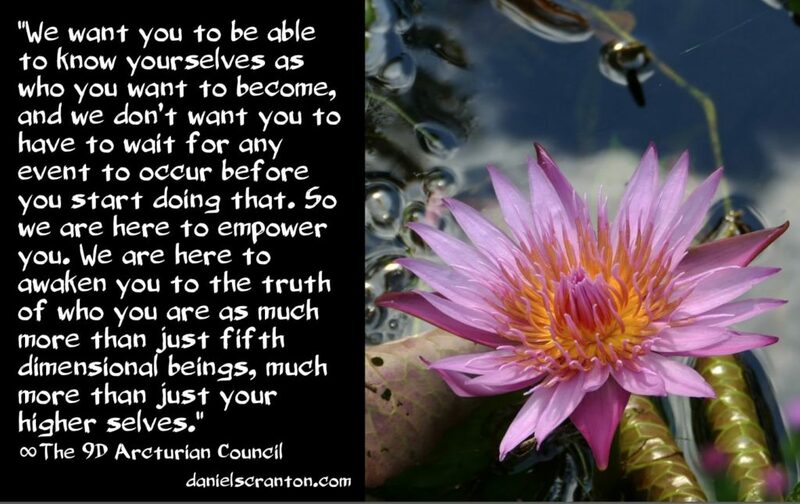 You have begun the process of becoming the fifth dimensional versions of yourselves, and this process will continue. You do not need anything to happen in order for you to access the fifth dimensional version of yourself, which is also your higher self. We are helping you in every way that we can, but you don’t actually need us. 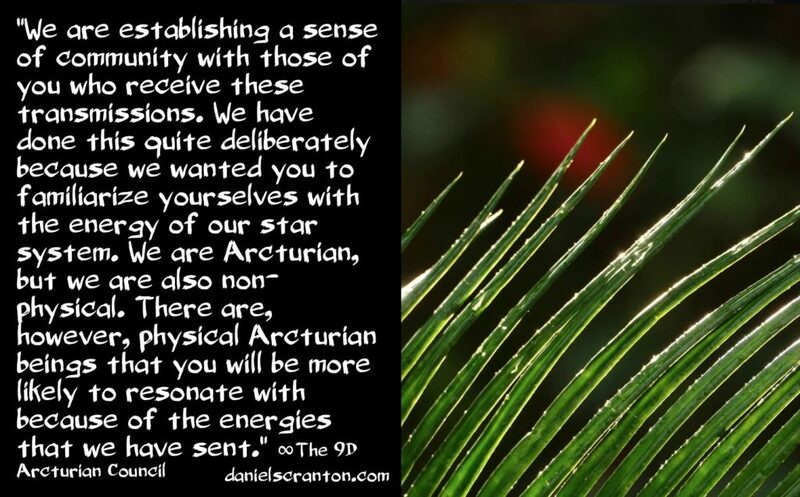 The co-creation with us just makes it more fun and interesting, and quite frankly, most of you find it easier to believe in us, or some other higher dimensional being or beings, than it is for you to believe in yourselves. We are excited to witness the uncovering of you memories. The memories we are referring to here are the ones you have yet to access regarding your interactions with extra-terrestrials in this lifetime. Most of you who are receiving this transmission have had many interactions with e.t.s that you do not recall, and you also at times create memories that mask what really happened. This is something you refer to as a screen memory. We want you to realize that you are the ones who have kept yourselves in the dark, and you have had your own reasons for doing so. If you were to remember everything about every encounter that you’ve ever had with an e.t. 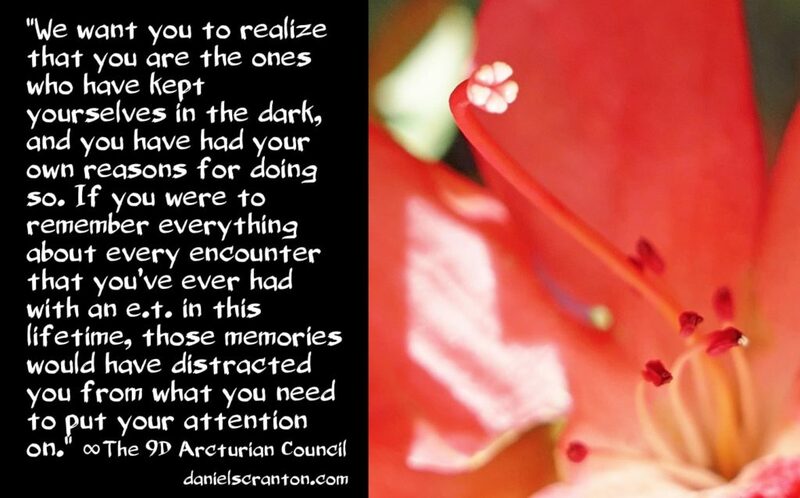 in this lifetime, those memories would have distracted you from what you need to put your attention on. You are already so far advanced. 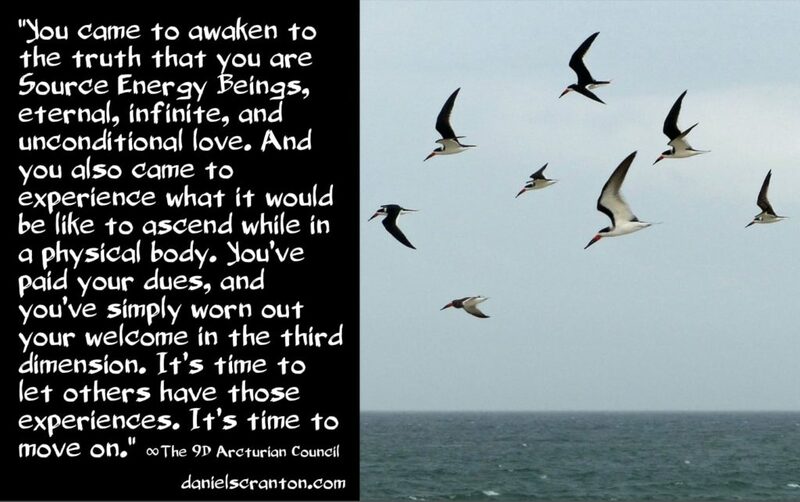 You are advanced to the point where you are awake when most on Earth are asleep. Imagine how hard it would be to remain there on Earth if you had all of these memories for the entirety of the time you have spent there since those interactions. But now you are getting to the point where you have done enough facing of what you’ve needed to face in your physical realm, and you are absolutely closing in on a time where these memories will not be a distraction anymore. Some of you are already there, and the memories have been flooding in. Others have a bit more work to do before you will be ready to give these interactions your full attention. This will be a very positive step in readying you for more contact in this lifetime. And we are referring to contact that you will not forget. We have allowed ourselves to experience what life is like on planet Earth through those of you who have opened yourselves up to us to that extent, and we are very excited to report to all of you that the energies that are all around you are having a profound effect on your lives. And this is true whether you feel them or not. You are able to receive so many more inspired thoughts and ideas because of these energies that are supporting you, and you are able to clear negative emotions so much more quickly because of this support that you have all around you. Now, we have also been able to experience the number of acts of kindness that our temporary hosts have been engaging in. It is very encouraging to see how selfless many of you are. It is also encouraging to see how much compassion you feel for those who are most in need of that compassion. We are especially encouraged when we experience one of you attempting to see a situation from many different perspectives so that you can understand how a person from a different place with a different background would see something quite differently from how you see it. 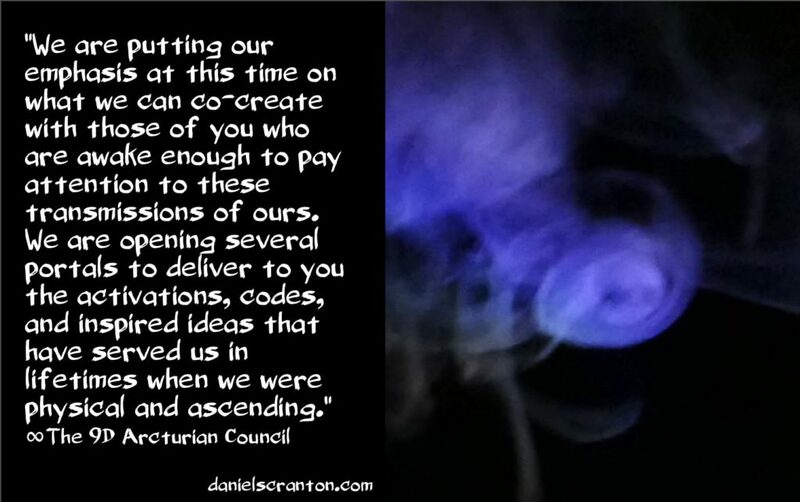 Now, of course, we will continue to be in this little program that we have established with the higher selves of those of you who are agreeing to it, and we will continue to get as much out of the human experience as we can. 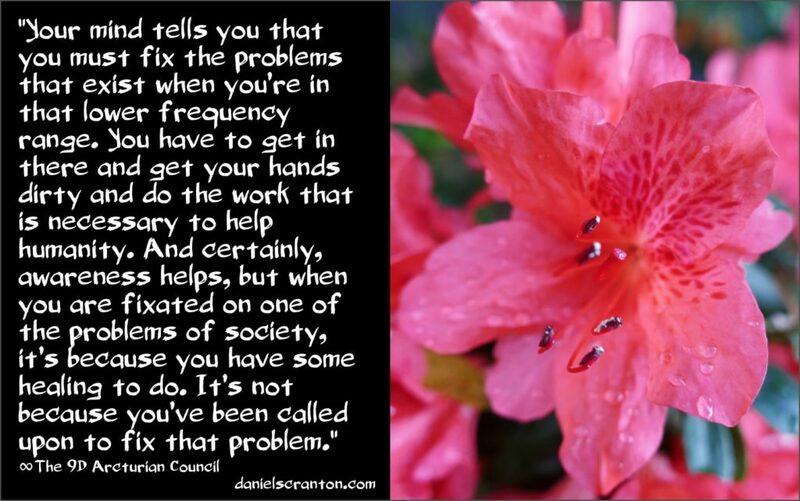 We do this because we want to help and because we need to know exactly what it is you are experiencing. Those of you who are receiving this transmission and have agreed to be our counterparts in this exercise have our eternal gratitude. 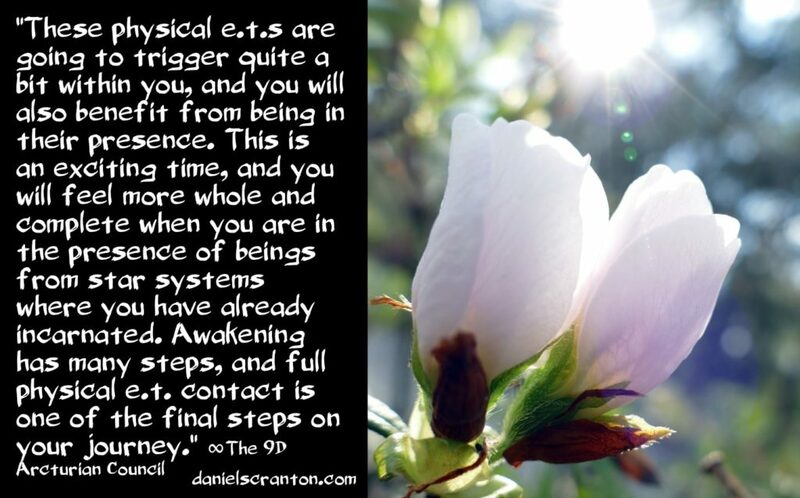 We have been excited for quite some time to explore with all of you the extent to which you will go to connect with higher frequency beings like ourselves. Now, we want you to understand that we are not talking about trying here, and we certainly are not talking about struggling. We are talking about a dedicated practice for reaching higher dimensional beings such as ourselves. 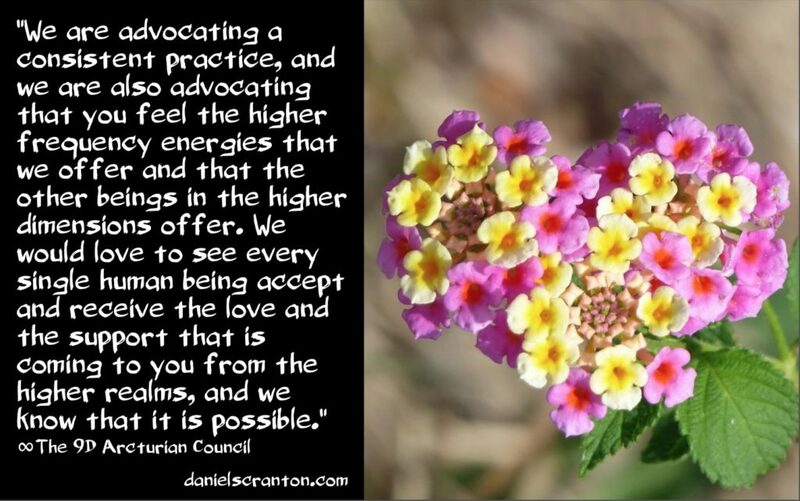 We are advocating a consistent practice, and we are also advocating that you feel the higher frequency energies that we offer and that the other beings in the higher dimensions offer. We would love to see every single human being accept and receive the love and the support that is coming to you from the higher realms, and we know that it is possible. We also know that in your attempts to reach out, you sometimes feel even more alone. 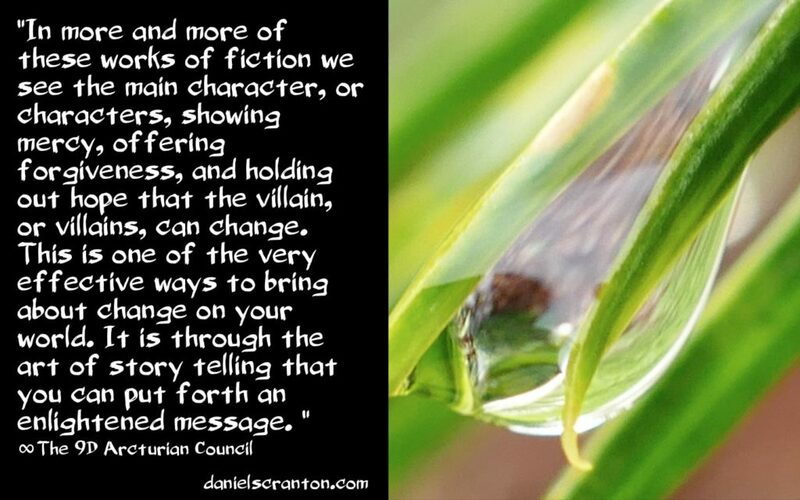 You sometimes feel that your words are falling on deaf ears, and you sometimes feel as though you are simply unable to make a connection with a higher dimensional being or collective. So we invite you to simply acknowledge that we are there and feel appreciation for what we are sending you. 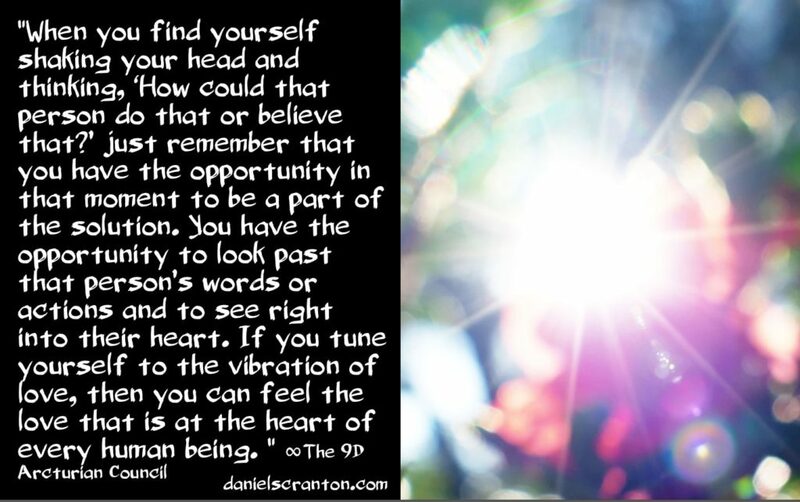 Even if you cannot feel it, even if you do not see any evidence that we are in fact sending you transmissions of light and love and higher frequency energies. We know that you know that some of your fellow humans are feeling it, seeing it, and having all sorts of experiences. So even if you are not having those experiences, you need to look at the positive side of things. You need to tell yourselves that if someone else can have that experience, then so can I. And you also need to trust in the divine timing. But again, a dedication to a daily practice that is designed to connect you to the higher realms is what we are recommending, and it is the way to achieve the results you want, from our perspective. When you are considering what it is that you can contribute to the human race, do not underestimate the value of putting your faith in humankind. Do not underestimate the value in seeing the best in your fellow humans. Look for the best in your fellow humans, and tell them what you see. Be honest, but also be focused on where you see your friends, co-workers, relatives, and neighbors thriving. Let everyone off the hook for they have done or said or believed that you found to be objectionable in the past, and make room for the possibility that these people around you are also ascending and evolving. They are opening their minds and their hearts. 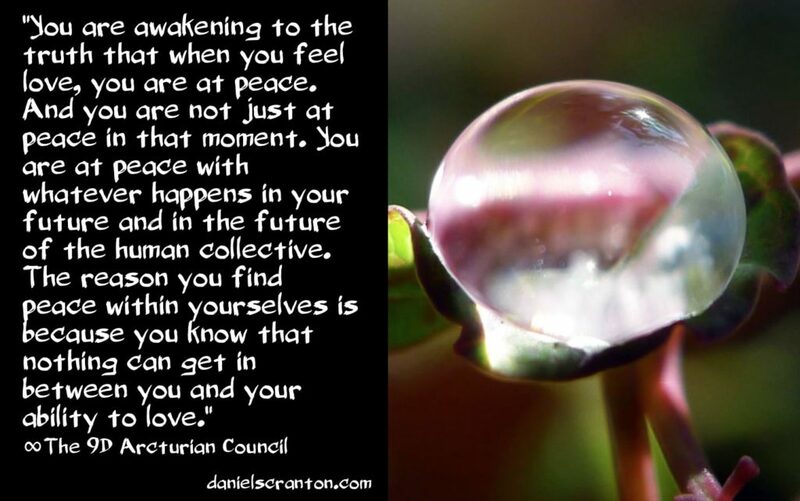 They are letting in that light and love from the higher realms, even if they are unaware of the fact that they are doing so. They are affected by your good thoughts about them. So when you find yourself shaking your head and thinking, ‘How could that person do that or believe that?’ just remember that you have the opportunity in that moment to be a part of the solution. You have the opportunity to look past that person’s words or actions and to see right into their heart. If you tune yourself to the vibration of love, then you can feel the love that is at the heart of every human being. You can do this, and we recommend that you do because we know that all of you want to feel like you are contributing more, like you are being of service, but you don’t often know how to go about that. It’s not about your words and actions in that arena of service either. The best thing that you can do for your fellow humans is to see the good in them, see the love in them, see Source Energy in human form, standing in front of you, doing the best that they can. You didn’t create all of those life experiences so that you could learn something, and you don’t keep coming back so that you can become perfect. Many conditions must be in place in order for any human to even approach what you might deem as spiritual perfection. But instead, you came for the challenges. 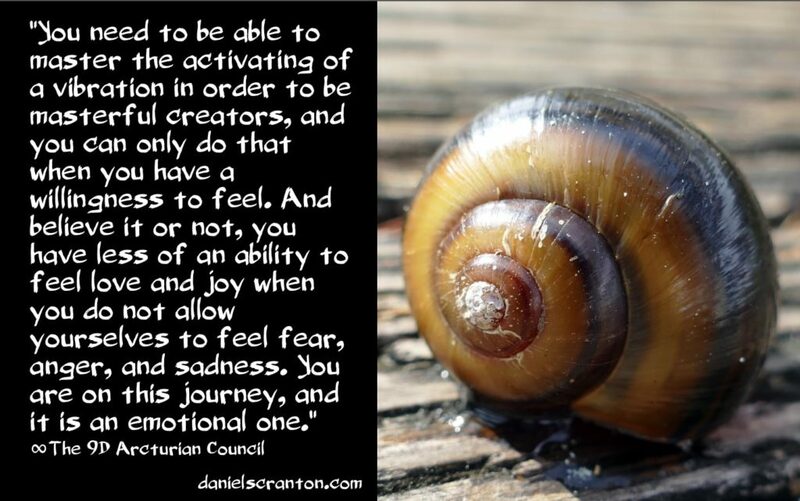 You came to see how far you could go down the different emotional journeys that you’ve been on.